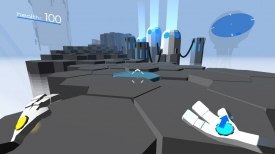 "A great looking and super fun futuristic game!" 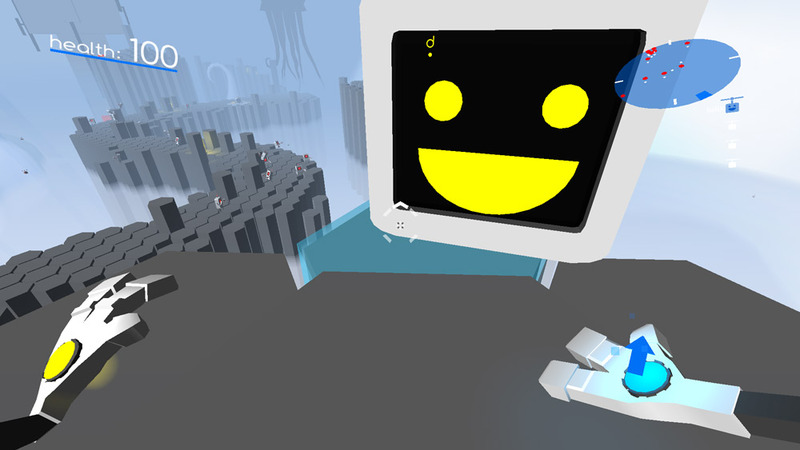 Cloudbase Prime is an incredibly cute and funny futuristic game developed by Tyrus Peace, it's fun addictive and full of humor and that robot voice is just brilliant. 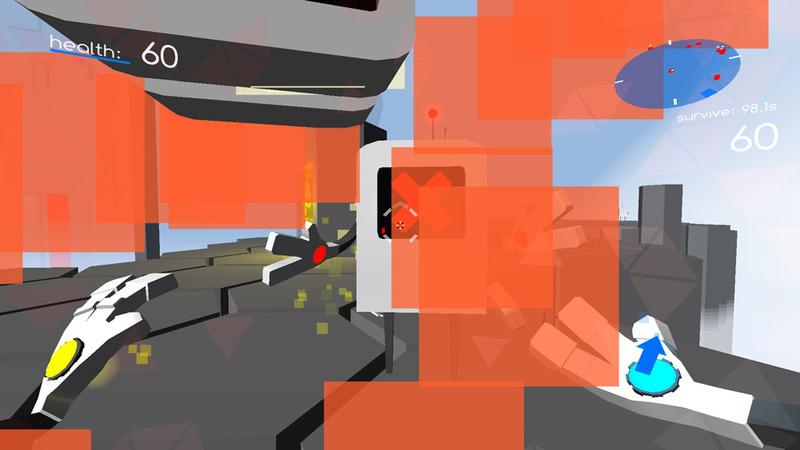 Once you complete the tutorial you can go straight in to a couple of different versions of the game where you can either collect fixibots while avoiding the evil robot guys, or you can play survival mode where you have to out duel evil robots for two minutes without dying, both game modes provide a challenge and you must utilize all you skills to avoid, kill or escape them. One of these skills is that you are able to push the hexagonal squares up in to the air by looking at it and right clicking on it meaning you can jump higher and reach further places using this useful skill, you can also float in the air after jumping by holding the space bar. The futuristic soundtrack is really nice too although can get a little repetitive if you play the game for too long which you will because it is fantastic! 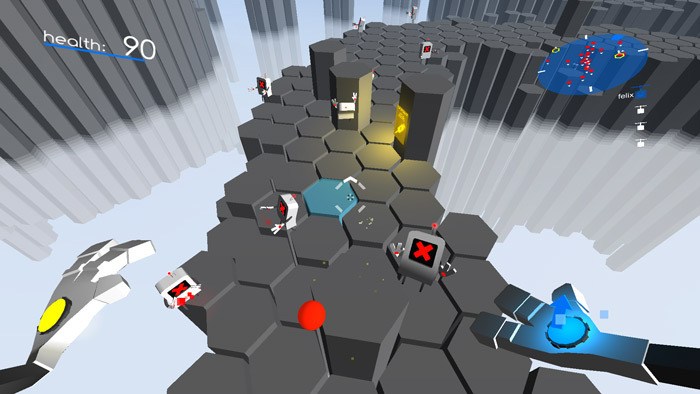 It’s hard to tell whether Cloudbase Prime is more of a shooter or a platformer but it beautifully combines elements of both and although it does involve shooting opponents because everyone is a robot and so brightly animated it does not feel like a violent game at all and is suitable for people of all ages one thing is certain though people of all ages will get a huge amount of enjoyment out of this game. You can and should download the Cloudbase Prime alpha demo here.